ORLANDO, Fla. (July 18, 2018) – Construction is coming to a close at SeaWorld Orlando as Infinity Falls – the highly anticipated new attraction opening at SeaWorld Orlando this summer – takes its place in the Orlando skyline. 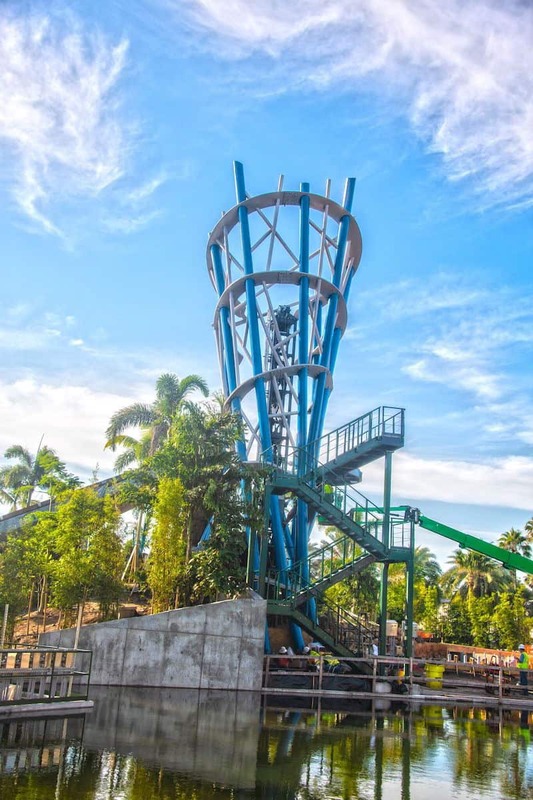 The record-breaking new attraction was “topped off” over the weekend as cranes lifted the final piece of the rides iconic blue and gray tower into place. The whimsical tower structure, blending modern architecture with ancient ruins, reaches a height of 67 feet and surrounds the attractions unique vertical lift. The 41-ton steel tower, made up of 10 pre-fabricated segments, took crews five nights to install. 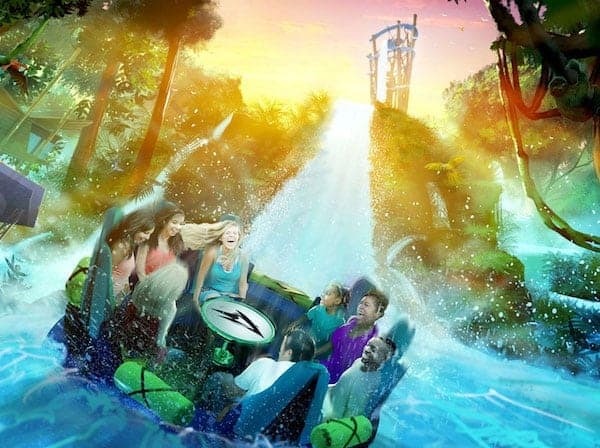 When it opens, Infinity Falls will feature the world’s tallest drop on a river raft ride. SeaWorld Parks & Entertainment is a wholly owned subsidiary of SeaWorld Entertainment, Inc., a publicly traded company. Visitwww.seaworldentertainment.com for more information.